New winter tyre for sports cars and high-performance luxury saloons available now. 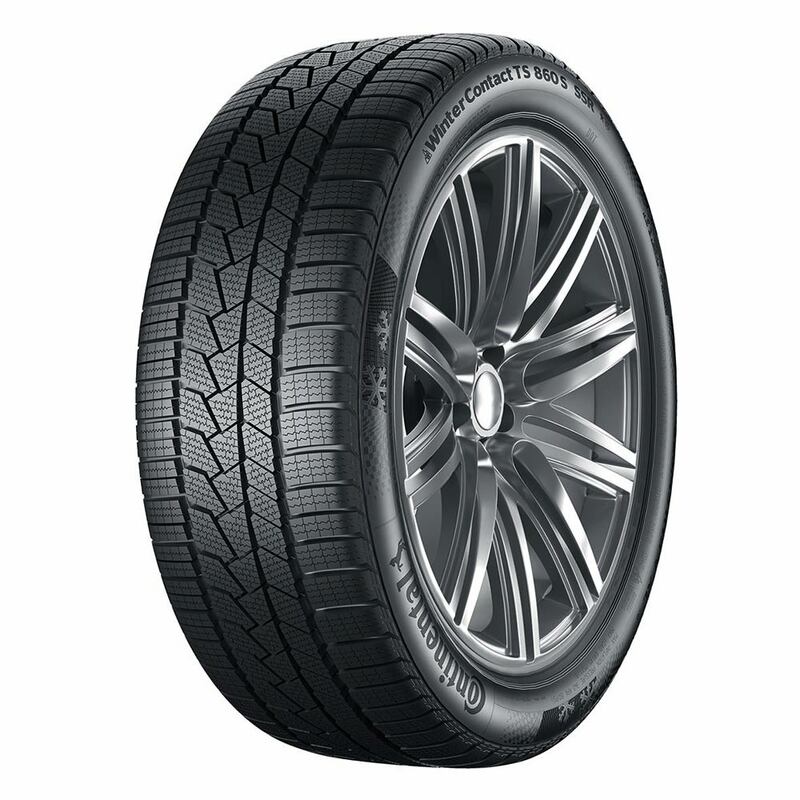 Specialist winter tyre consistently designed with safety and sporty driving in mind. 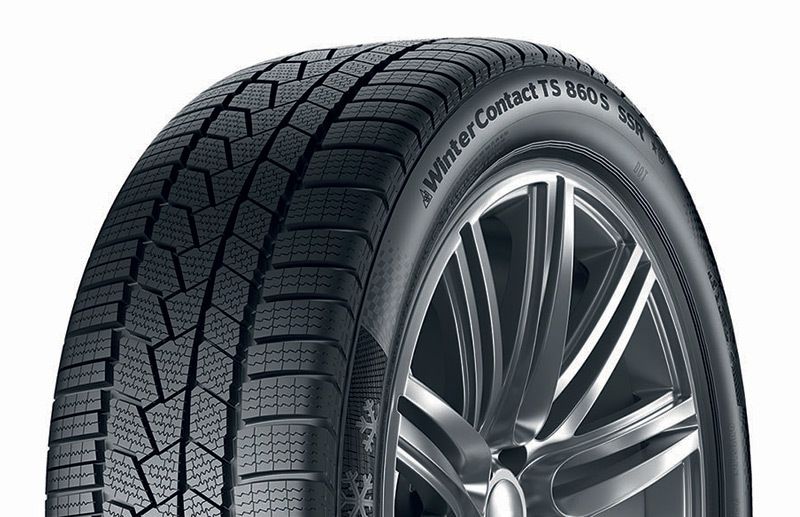 With the new WinterContact TS 860 S, Continental is showcasing a winter tyre for sports and high-powered cars designed for dynamic driving. The WinterContact TS 860 S will be available in the replacement and original equipment market, with Continental intending to offer automakers their own customised versions with different handling properties at the highest level. The new tyre delivers top performance in terms of braking distances and handling on dry roads, as well as handling properties on snow. For the coming winter, the new WinterContact TS 860 S will be manufactured in 14 sizes. The line-up will include diameters from 18 to 21 inches, with approvals for speeds of up to 168 mph. With the new WinterContact TS 860 S, Continental is responding to the many different needs of the manufacturers and drivers of high-performance cars. So when the tyre was being developed, the focus was above all on short braking distances and precision handling in the dry, as well as on top-class handling properties on snow. This winter specialist achieves its short braking distances by means of its “braking groove” – a wide groove running through the center of the tread, offering a large surface with which to build up grip. Stiff, broad shoulder blocks deliver maximum grip for a precision steering response, while the many tread grooves and traction sipes in the tread blocks make for good interlocking with snow, enabling dynamic driving even on typical wintry roads. For the replacement sector, Continental has prepared a compound that delivers high flexibility even in winter. On the original equipment front, Continental is intending to meet the specific and different needs of automakers such as Audi Sport GmbH, BMW M Gmbh, Mercedes-AMG and Porsche with customised rubber compounds in each case. This new high-performance winter tyre takes up the baton from two top-performing models, the ContiWinterContact TS 830 P and the WinterContact TS 850 P, both of which scored top marks in a variety of tests conducted by car magazines. The two predecessor models were also very popular as original equipment. The TS 830 P, for example, brought in 104 manufacturer approvals, while the TS 850 P with its smaller model range drew almost 50 approvals. In advance of its market launch, the new WinterContact TS 860 S is already undergoing approvals testing with leading European automakers. On the sidewall, the new winter tyre displays not only the product name and the many mandatory identification marks but also the stylised checkered flag from the U-UHP summer tyre SportContact 6, as well as the familiar snowflake motif that appears on the other winter tyres from Continental. The tyre passed the necessary tests for the three-peak mountain snowflake symbol that all approved winter tyres coming onto the market from this winter onward must bear. On the EU Tyre Label, the new winter tyre achieves a Group C rating for wet grip and, depending on the specification, a Group B, C or E rating for rolling resistance. In the noise rating, this very quiet tyre was awarded the two black bar symbol. At the time of market launch, Continental will initially have 14 sizes available for 18 to 21-inch rims, six of which will feature SSR runflat technology and ContiSilent technology for particularly quiet running. The WinterContact TS 860 S will be available in widths of between 225 and 315 millimeters with aspect ratios of 60 to 30 percent and approved for speeds of up to 168 mph (speed index “W”). 454 times we have received the highest recommendation.